2016 was the year of legalization. Cannabis won 8 out of 9 state elections. As the only cannabis insider hired by the Prop 64 campaign, I had the privilege of working hand-in-hand with grassroots leaders from across the state and thanks to their hard work and fortitude more than 60 million Americans now live in a state with legal cannabis. 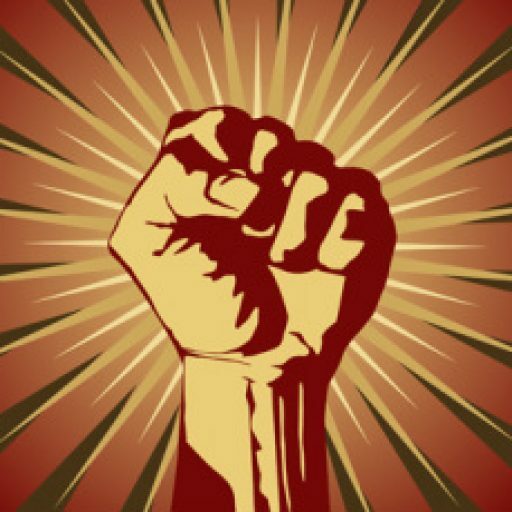 In no particular order, here are the most fired up activists of 2016! SSDP has been a critical leader of the field campaigns for all of the state legalization initiatives. They organize community panels, campus rallies, door-to-door canvassing, and other grassroots actions that are necessary to get the votes needed to win. During this election, fired up students made tens of thousands of phone calls through SSDP’s online phone-banking program. No less than 25 campuses were involved in the Prop 64 campaign reaching thousands of young voters across the state. We can’t win these elections without SSDP. Do you like legalization? Yes? Then donate to SSDP so they can keep working to end prohibition across the country! This fired up power couple founded Friends of Prop 64, a critical advocacy tool to educate voters and counter all the AUMA hate during the campaign. They spent hours online each day responding to questions, myths, and misinformation about the initiative. They withstood personal attacks accusing them of crazy things and while other activists were too afraid to put their necks out they never gave in and never backed down. Chris wrote articles and developed resources that were critical tools for the campaign. 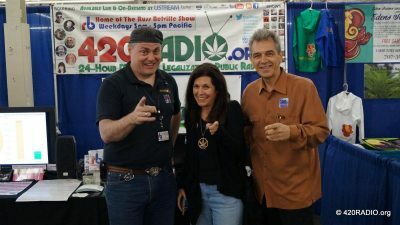 The three of us traveled together throughout the state getting folks fired up about legalization. I don’t think “sleep” is in their vocabulary. They are amazing people and I am grateful to call them my friends and heroes. We did it you guys!!! These folks singlehandedly held down San Diego, a critical region for the Prop 64 campaign. From the beginning of the campaign they were rearing to go, organizing community presentations, working with local politicians and stakeholder groups, and representing at community events, all with minimal support from the main campaign. They were able to raise their own funds to get the work done. They also created the only yard signs for the campaign. If you were lucky enough to get one of these limited edition prints, you now own a special piece of history all thanks to them. Stay fired up San Diego! Also known as “Radical Russ,” no one gets more fired up than him when the Stoners Against Legalization attack with their prohibitionist funded lies, conspiracy theories, and character assaults. This is not his first trip to the rodeo. Russ has been standing up against these haters since the Prop 19 campaign in 2010. He has an online radio show, travels the country on his own dime, often to serious prohibition territory, and gives voices to the activists that are sacrificing their blood, sweat, and tears to this cause. He also volunteers to debate and go head-to-head against the toughest prohibitionist pundits like Kevin Sabet. Russ is one of a kind and priceless to our cause. Thank goodness he is on our side. Keep it real Russ! ​Who would think a guy named Bud Green would be the voice of reason during the Prop 64 campaign, but he too spent hours online countering misinformation and sustaining personal attacks. He fought back against the scare tactics armed with facts and a level head. Bud has a deep understanding of politics, the cannabis community, and the details of Prop 64. He has displayed a level of insight that is critical to moving our cause forward during implementation and the federal uncertainty. His voice and energy are what we need to reunite and succeed as a movement. He also makes great memes to keep us fired up when we needed them most. Thanks Bud! Thanks to these folks cannabis is legal in California. Think someone is missing? Tag them in the comments so they can get their props!